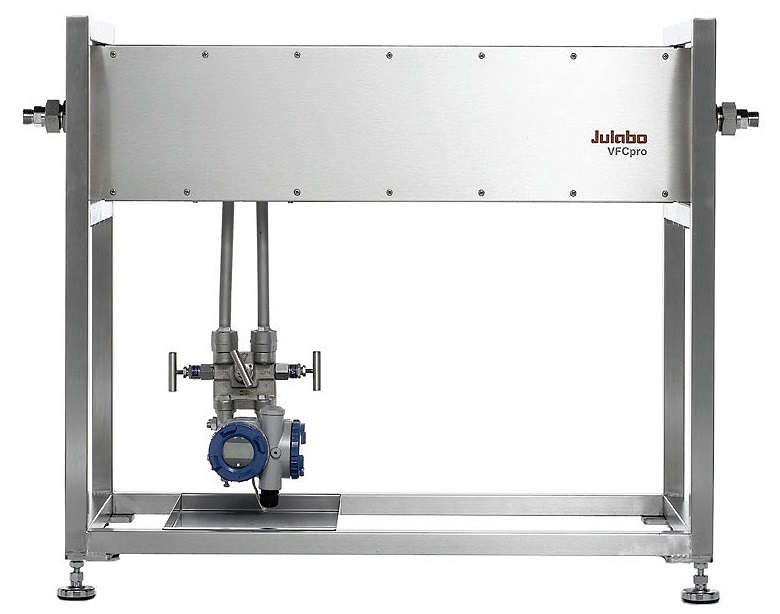 To use alongside the PRESTO temperature controllers, the Julabo VFCpro units measure flow rates and calculate calorimetric values. Determine with precision the kinetic and dynamics of reactions and help scale-up of processes from laboratory quantities to pilot and production volumes. Measurements are shown directly on the PRESTO display. Together the VFCpro and PRESTO control measure flow rate with an accuracy of 0.8 to 1.5%. This corresponds to a flow of approximately 0.4 to 0.75 L/m. 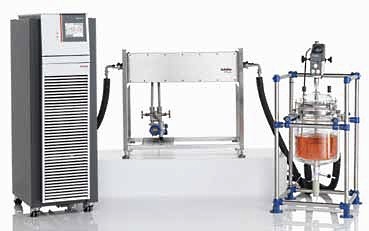 Calorimetric measurement accuracy depends on the correct specification of heat capacities of bath fluids. The specifications for the bath fluids Thermal HL40, Thermal HL45 and Thermal HL80 are stored in the PRESTO settings, along with user inputted specifications. 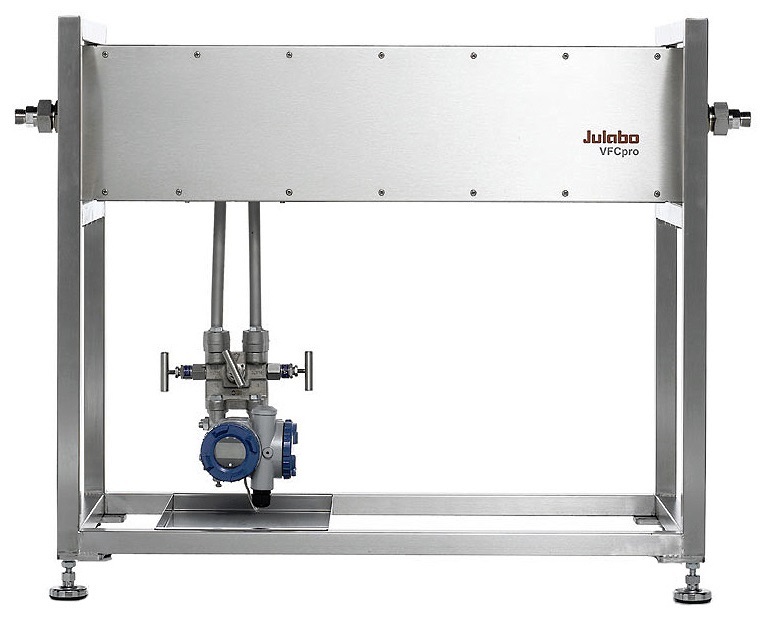 Calorimetric measurement accuracy also depends on the quality of sensor taring (0 set) at the beginning of each measurement, the absolute introduced energy, and the mass flow of bath fluid. The VFCpro-24 requires a flow of at least 10L/m while the VFCpro-38 required 20L/m. 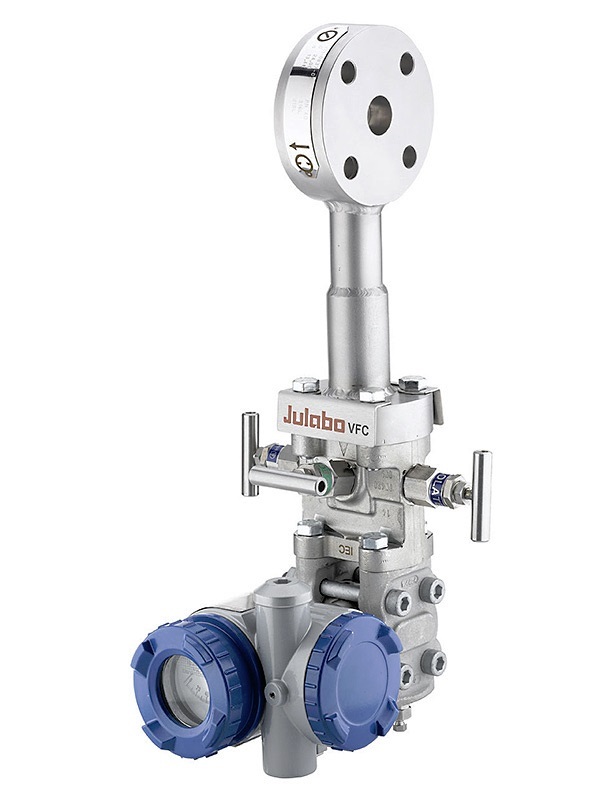 8980764 Julabo VFCpro-38 Flow Measurement and Control, -100 to +300°C, maximum flow rate 100L/m, suitable for PRESTO temperature controllers W91, W91t, W91tt, W91ttx, W91tx. W91x. W92, W92, W92t, W92tt, W92ttx. W92tx, W92x.